Motor Controls, Inc. (MCI) is the water control and handling industry’s leading manufacturer of water booster pumps and water booster stations. As one of the largest water pumping solutions providers in North America, MCI offers high quality, high performance products for wastewater and other challenging applications. Their products deliver unparalleled reliability and efficiency. Flow N Control offers MCI’s innovative water booster pumps and related equipment, and will help you find the ideal solution for your needs. Request a quote on MCI water booster station. Contact us for more information. Since 1980, MCI has provided waterbooster pumps and complete waterbooster stations for municipal and industrial applications all around the world. MCI designs and manufactures all their products in-house, giving them complete control of the production process to ensure that their water booster solutions meet or exceed all quality and performance requirements. Flow N Control is an authorized distributor of MCI water boosters and water booster stations. 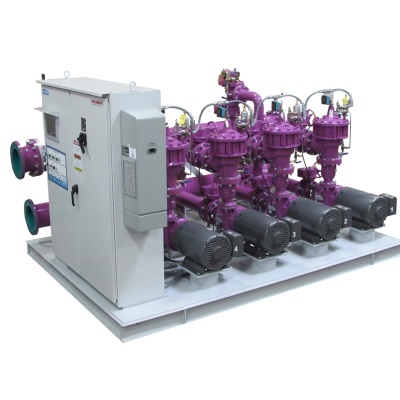 We provide innovative, end-to-end solutions that include the pumps, control panels, and other components you need for your water control and handling application. Contact us for MCI waterbooster solutions.